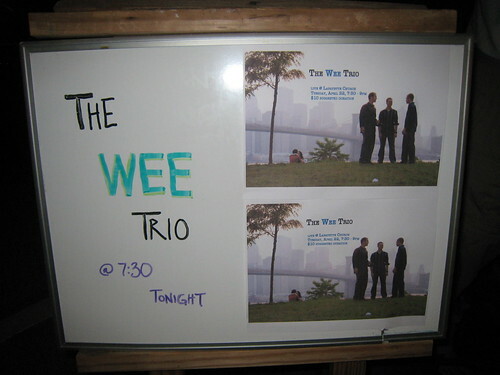 We were happy to have the Wee Trio come give a concert on April 22, 2008. It was a great success! 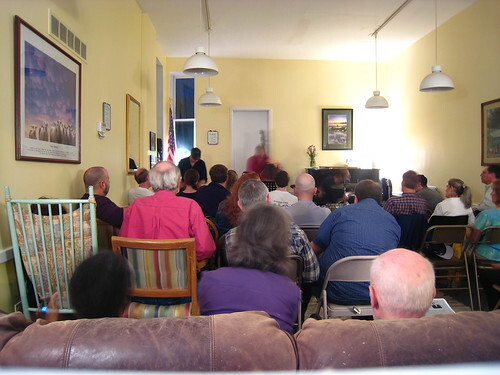 They performed to a packed house (standing room only) and did a great job. 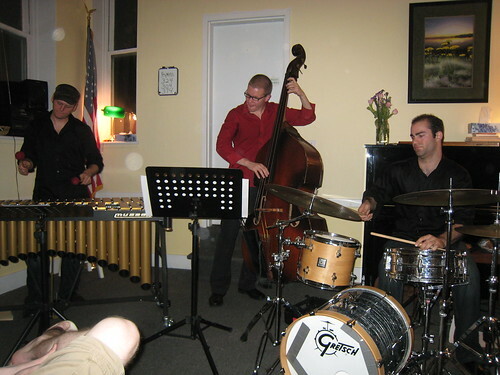 Their polished sound including drums, vibraphone and bass impressed everyone present.